Spidey investigates a mysterious arms dealer. Ignoring Sean Connery's unofficial return in Never Say Never Again, I've now lived to see the same number of actors play Marvel Comics' Peter Parker and his superhero alter-ego Spider-Man on screen as have played James Bond. While my introduction to the character came courtesy of former Von Trapp kid Nicholas Hammond's turn in the now decidedly quaint '70s TV show, the other three have arrived in the last 15 years alone, with Tobey Maguire becoming the first big screen Spidey in Sam Raimi's visually impressive but uninvolving noughties trilogy. Then came Andrew Garfield in Marc Webb's under-rated 'Amazing' duo. Though Webb's movies made respectable money, the character was rebooted once again, with Sony Pictures teaming up with Marvel to reintroduce the webslinger, now played by young British star Tom Holland, to the Marvel Cinematic Universe with a small role in last year's Captain America: Civil War. In this first official Marvel movie for Stan Lee's most famous creation, the tone is set early on with an orchestral version of the old cartoon 'Spider-Man, Spider-Man, does whatever a spider can...' theme playing over the company logo. This is a Spider-Man movie that isn't going to take itself too seriously, a thesis cemented when we're greeted with smartphone footage filmed by Peter Parker as he enjoys his arachnid enhanced crime-fighting activities. Yes, that's right, he ENJOYS being a superhero. Spider-Man: Homecoming is refreshingly free of angsty super-brooding. Before Marvel became the cinematic giant it is today, Spider-Man was by far its biggest star, but in recent years, thanks to the ongoing filmic franchise, he's been superseded by Robert Downey Jr's Tony Stark and his alter-ego Iron Man. As such, Marvel now seems to lack confidence that Spider-Man, the character whom its empire was built around, can carry a film on his own, and so Stark is shoehorned into the narrative here in a way that's unconvincing, confusing and contradictory. This iteration of Spidey is to some degree a pawn of Stark, sporting a high-tech suit designed by the billionaire inventor. For much of the movie I found myself wondering what the point of having Parker bitten by a radioactive spider was, so reliant is he on Stark and his tech. Though Marvel have thankfully chosen not to give us another traditional Spidey origin story, in a way Homecoming is another type of origin story, the story of how Parker moves away from the shadow of Stark and becomes his own (Spider) man. Constantly told that becoming a member of |The Avengers isn't an option for our young hero, Parker instead focusses on more low key activities, becoming a 'friendly, neighbourhood Spider-Man', his main nemesis here arriving in the form of The Vulture (Michael Keaton), a criminal selling weapons constructed from some of the alien tech left over after the New York battle seen in the first Avengers movie. As a result, the film's action set-pieces may feel a little underwhelming to superhero fans, but for those of us sick to death of overblown sequences involving city-destroying giant beams of light, they're a welcome relief. But while the set-pieces are relatively small scale, they're also a little dull, thanks to Jon Watts' bland direction. 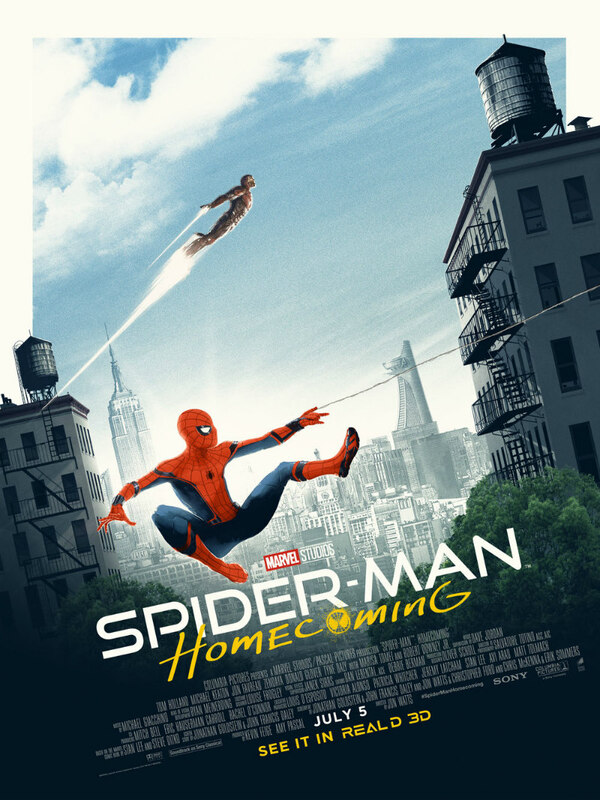 Like most Marvel movies, Homecoming resembles a very expensive episode of a TV show, but in this case it's a show worth watching. Large portions of the film play like a teen comedy, and it's easy to forget at times that we're actually watching a superhero movie. Holland is fantastic in the role, far more convincing in his geeky awkwardness than Maguire and Garfield. He's backed up by a talented young supporting cast, all of whom feel like real characters despite their limited screen time. Reflecting how times have changed, one of the film's most interesting aspects is how high school bully Flash Thompson has been transformed from the traditional jock archetype into a nerd here, played by a slimey Tony Revolori, who doesn't give Parker wedgies, but instead mocks him with psychological jibes, which any teen will tell you is far more damaging. A standout among the background characters is a de-glammed Zendaya playing a riff on Julia Stiles' cynical 10 Things I Hate About You protagonist - if in a sequel, they give her an Ally Sheedy Breakfast Club style makeover I'll scream! As any movie set in working class New York should, Homecoming sports a diverse cast, with none of the casting feeling tokenistic in the way it did in the recent Wonder Woman movie. The movie isn't looking for any progressive rewards - it's simply giving us a realistic depiction of the ethnic make-up of a modern western city - though making both of its white protagonist's potential love interests black girls is unassumingly revolutionary (though it would be even more revolutionary if Parker were played by an American star). If much of Homecoming resembles an episode of Freaks & Geeks, it could be due to the presence of that show's star John Francis Daley among the writing staff. 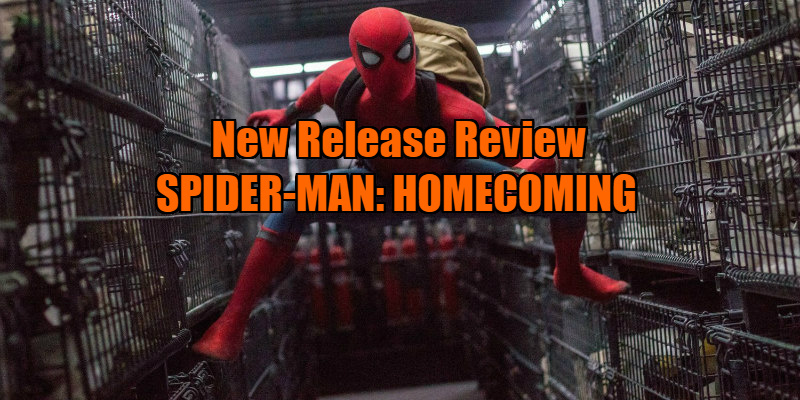 The strongest portions of the script are those set in the high school milieu, with lots of little background detail that makes us wish the movie could dispense with its Spider-Man scenes altogether and simply let us soak up its youthful environs. Homecoming may not be a great Spider-Man movie, but it's the best Peter Parker movie we've seen to date. Spider-Man: Homecoming is in UK/ROI cinemas July 5th.